Feb 25, 2013 Posted by AAfterwit on Feb 25, 2013 | Comments Off on Fear Of The Turtle Returns. Fear Of The Turtle Returns. Yes ladies and gentleman, Division I lacrosse has returned to the field and this past weekend saw the number 2 ranked Maryland Terrapins travel 45 miles north on I-95 to take on the number 1 ranked and defending NCAA champions the Loyola Greyhounds. The Terps spotted Loyola the first goal and then rattled off 5 unanswered goals. From there, the Terps never looked back leaving the home team and their fans to leave Loyola’s Ridley Athletic Complex saddened by a 12 – 10 loss. We, of course, are not saddened by this at all. Maryland is loaded this year with a better than average offense, a great defense and a great goalie. Time will tell if the team can reach its full potential, but the Terps are capable of playing for and winning the national championship in Philadelphia. For us, even though they are far away, it is good just to see the sport back on the field. We had watched some games on television a few weeks ago, but the schedules of all schools are really kicking in. The fastest sport on grass is back. Loyola is now 2 – 1 on the year. 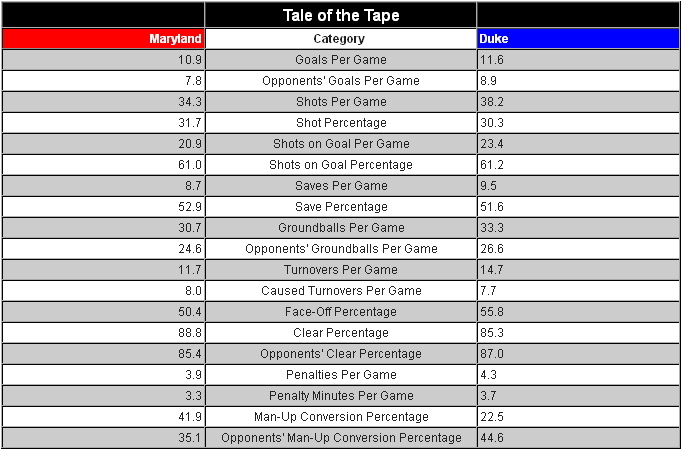 Maryland (3 – 0) should move up in the rankings (not that it matters) to number 1 and should be number 1 when they face hated ACC rival and perennial powerhouse Duke in Durham. The game will be broadcast on ESPNU starting at 11:00 AM on this Saturday. Jul 18, 2012 Posted by AAfterwit on Jul 18, 2012 | Comments Off on Shout Outs! A lot of the things we have been discussing and bringing to light concerning Satellite Beach are somewhat negative. We wanted to give a couple of well deserved shout outs to some folks in our community. First, we want to acknowledge the Satellite High players who were named to the “All District” team for the sport of lacrosse. In our lifetime we never thought the sport would reach this far into the southern part of the United States. Not only is it here, but there is some quality play going on at the youth and high school levels. Scott Keith and Julian Pinelli were named to the Boys All District Second Team. Kristin Fanto, Becca Faircloth, Devan Macheras, Anna Griessler, and Alexa Weare were named to the Girls All District First Team. Add to the mix Haley Cook, who was named to the All District Second Team. 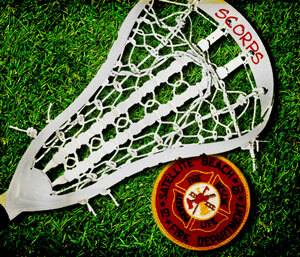 Kudos to the players named above and to all the kids who are playing the great sport of lacrosse. Secondly, in case you missed it, there is a really nice article on the Satellite Beach Fire Department, specifically the paramedics, in the Florida Today newspaper. May 27, 2012 Posted by AAfterwit on May 27, 2012 | Comments Off on One Step Closer…. If one looked at the scores of the NCAA Lacrosse Semi-Finals today, they would have seen finals of 7 – 5 and 16 – 10. Knowing the styles of the teams, one would have thought the the score of the Loyola vs. Notre Dame game was 16 – 10, and the Maryland vs. Duke game was 7 – 5. As it turned out, one would be wrong. Somehow in the past week, the Maryland team was taken over by pod people and ran the Duke Blue Devils out of the stadium 16 – 10. You read that right. Maryland scored 16 goals in a game. Maryland had scored 16 goals twice previously this year: 16 goals against Marist and 17 against Georgetown. With all due respect to those fine schools, neither are Duke. The 16 goals Maryland put on the board against Duke was the most Duke had allowed all year. Maryland took 29 shots and scored 16 times. That is an obscene 53% scoring rate. Maryland now faces in state rival Loyola on Monday at 1 PM. No matter what, the lacrosse champions will be from the Free State and can celebrate with steamed crabs. We here at Raised on Hoecakes wish to congratulate Loyola on their fine season and reaching the finals. 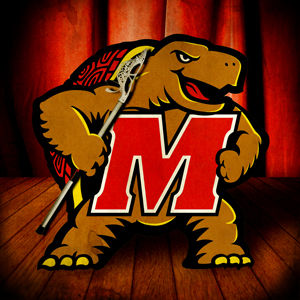 However, we sincerely hope they lose and our beloved Terps will be crowned champions. May 26, 2012 Posted by AAfterwit on May 26, 2012 | Comments Off on There Is A God. We were beginning to worry. You see, when Maryland stunned Hopkins last week in the NCAA Lacrosse tournament, we were worried how the semi-final game of Maryland vs. Duke would fit into our schedule. There were two possible game times – 2:30 PM and 5:00 PM. The problem is that a 2:30 PM game would be right in the middle of appearing on the Steve Bussey Radio Experience. We had to pray for the 5:00 PM game. Thankfully, our prayers were answered and the Maryland vs. Duke game is at 5:00 PM. This will be the third time this year the Terps and the Blue Devils have met. After beating Duke 10-7 at College Park in March, the Terps lost to Duke in the ACC Tournament in April by a score of 6-5. We have to say that the two teams do not reflect the teams that played in March – they are both much better. To some extent, they are not the same two teams that played in the ACC Tournament. Duke has turned on the jets and loves to run even more than they did. Maryland has adopted more or a slow down approach with a clamp down defense. When you look at the stats, the game is as close as can be, given each teams strengths and propensities. We believe shots will be at a premium for this game which means the goalies will probably hold the key to the game. It should be a good one. At stake is a spot in the Championship game on Monday against the winner of the Loyola vs. Notre Dame game. May 20, 2012 Posted by AAfterwit on May 20, 2012 | Comments Off on Living Large As A Turtle. Living Large As A Turtle. After the radio show yesterday we scooted on home and watched the recording of the Maryland vs. Hopkins NCAA lacrosse quarterfinal game. Final score: Maryland 11 Hopkins 5. Maryland played a type of game that lacrosse fans do not like. The Terps slowed the pace down while incurring 13 stall warnings for the game. Lacrosse is known as the “fastest game on two feet,” but the game seemed a little more like the “fastest games turtles play.” How slow was the game? Not only did Maryland receive all those stall warnings, Hopkins had only 16 shots, the lowest total in its NCAA Tournament history that spans 40 years and 99 games. But this game was more than just about the pace. Unofficial time-of-possession stats, according to Patrick Stevens of the Washington Times, had Maryland with a roughly 2-to-1 advantage, thanks to the Terps winning the groundball (26-15), face-off (12-8 and turnover (Hop had 14 to UM’s 10) battles. Additionally, Hopkins cleared just 14-of-21, down from their 89% rate on the season. This was the Maryland team fans had wanted to see all year. Their passes were crisp and on target. Best of all the defense, led by goalie Niko Amato, were outstanding. Hopkins is a little deeper and more talented than Maryland, and the Maryland defenders never let the Hopkins’ offense breathe. It is a good day in Turtleland. 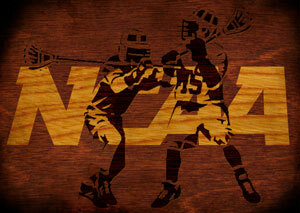 May 7, 2012 Posted by AAfterwit on May 7, 2012 | Comments Off on 2012 NCAA Lacrosse Tournament Seeds Announced. Let The Fun Begin! 2012 NCAA Lacrosse Tournament Seeds Announced. Let The Fun Begin! It’s time for May Madness when the Division I NCAA Lacrosse Championship tournament begins this coming weekend. Sixteen teams will be fighting to make it to Foxborough, Massachusetts for Championship Weekend May 26 – 28, 2012. We have to say the game has come a long way since we first started playing it. We used to listen to the championship game on the radio and if we were lucky, ABC’s “Wide World of Sports” would carry an abbreviated version of the game to or three weeks after the game was played. Now the CBS Sports Network and the ESPN Family of Networks carry games throughout the season. ESPN will be telecasting every game of the tournament live, including the championship game on Memorial Day. The exposure has helped the sport grow to the point where it has the largest live attendance for a championship game in the entire NCAA. We never thought we’d see that happen. Mar 19, 2012 Posted by AAfterwit on Mar 19, 2012 | Comments Off on Still Fearing The Turtle. We have been busier than a one armed paper hanging cat in a room full of rocking chairs this past week, but we would be remiss if we didn’t bring up our beloved Maryland Terps lacrosse team. Coming off a loss to UMBC, the Terps bounced back last Saturday with a good win against Marist, 17-4. To be honest, it is a game the Terps should have won and they did. We hope this is an indication the Terps are on their way of not playing down to the competition as they did last year and against UMBC this year. 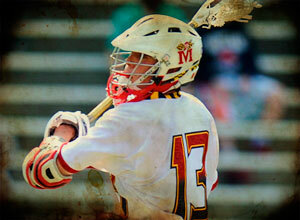 The Terps followed the Marist win up with a convincing win against Villanova, 11-5. The Terps are now 5-1 on the season. Maryland raced out to a 7-0 lead, holding Villanova scoreless until 4:50 of the second quarter. That is the type of defense you want to see from a team that is vying for a championship. Up next for the Terps is ACC rival North Carolina in Chapel Hill. The game is this Saturday and will be televised on ESPNU at noon. In related lacrosse news, the Florida Legislature failed to pass SB266, which would have designated car racing as the state sport of Florida. We will be writing our representatives to introduce the fastest growing sport – lacrosse – as the state sport. If they have any sense, they will pass that bill. Mar 8, 2012 Posted by AAfterwit on Mar 8, 2012 | Comments Off on Told Ya. The #5 ranked Terps are 3 – 0 and will be looking to stay undefeated as they make a quick trip up I-95 to play unranked UMBC on Tuesday night. While this should be an easy game for my beloved Terps, it can also be a letdown coming off an important win against Duke. UMBC will be looking to defeat the Terps and if Maryland overlooks the Retrievers, they may suffer the same fate as North Carolina who despite being ranked #4 in the country, lost at home to unranked Lehigh, 9 -8. Maryland can pause and enjoy the Duke win for a brief moment, but UMBC awaits and they would like nothing better than to spoil Maryland’s undefeated season.